Last fall, we told you about big plans for 412 S. 13th St., known more colloquially as Waverly Court. The building looks like it has some kind of industrial past, though we could not tell you its original purpose. Most recently, it has been home to rental apartments and the (rather excellent) restaurant Amis. Previously, a surface parking lot sat next door but now that parking lot is gone, with a building coming in its place. When we originally told you about the project, it looked like it would entail 37 apartment units total. Now we understand that there will be a total of 60 apartments, 11 parking spots for cars, and 13 parking spots for bikes. 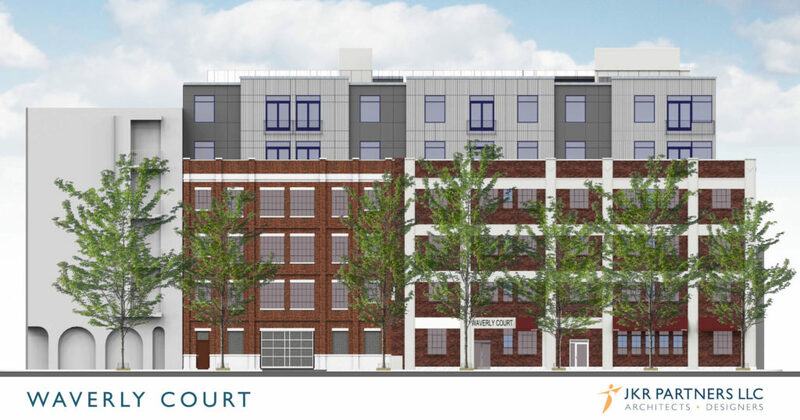 Not only will a six story building rise next to the existing structure, but the Waverly Court building will also get a two-story addition. We were able to snag a rendering of the project from the good people at JKR Partners. The new building will have a similar look to its neighbor, though it won't try to copy it precisely. 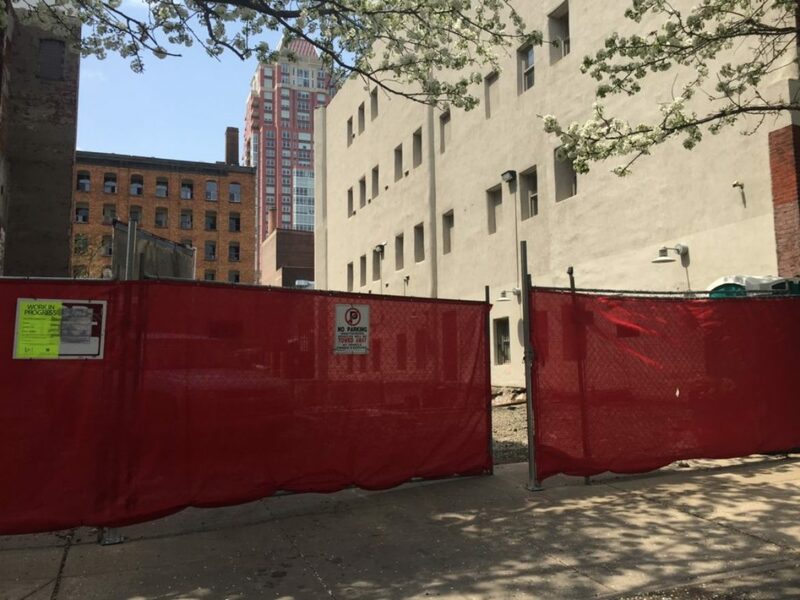 The fifth and sixth stories for both buildings will have a more modern look, but because they'll be set back from the street they won't be as visible as the brick facades on the first four floors. It looks like the entrance to the small garage on the first floor will match the current curb cut, so the area won't lose any additional street parking spots. Considering the density, one would expect that most of the people who end up living here won't be looking for parking, but those that might will have the chance to rent a spot. What do you think of this project? Are you, like us, always thrilled to see a Center City surface parking lot go away? How do you feel about the architectural choices the developers are making?